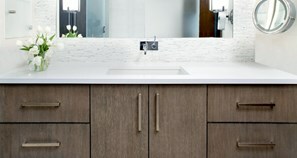 Selecting and installing new bathroom cabinets is a big job requiring a commitment of both time and money. Make sure you have a clear plan before investing in a new bathroom setup. This article discusses some of the things to consider before remodeling your bathroom as well as possible remodeling projects you can undertake. It is meant as a starting point for both DIY projects and larger contractor jobs. Kitchen remodeling is a big job. 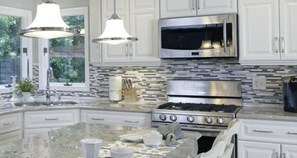 A kitchen takes significant time and money to renovate. Maximize return on investment with this basic kitchen remodeling guide. Get a ballpark estimate of project costs based on information from other homeowners in your area. How many gallons of paint do you need for that room? Answer this tough question and others with our handy calculators. Browse our collection of DIY home improvement projects and tips written by our ImproveNet experts.